Tens of thousands of protesters rallied in Algiers for an eighth successive Friday to demand the departure of the ruling elite as Algeria prepares for a presidential election in July. President Abdelaziz Bouteflika stepped down from 20 years in power 10 days ago, bowing to pressure from the army and weeks of demonstrations, mainly by young people seeking change in the North African country. 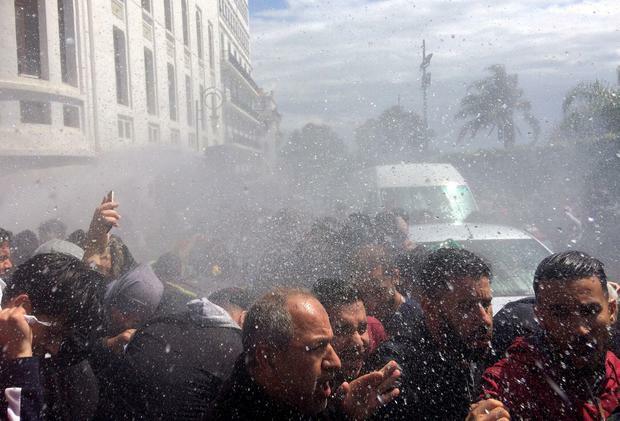 Protests have continued as many want the removal of an elite that has governed Algeria since independence from France in 1962 and the prosecution of what they see as corrupt figures. “No to Bensalah,” the protesters chanted, marching peacefully in the centre of Algiers where mass protests broke out on February 22.